What are the mantras of your life? Your mantra of life is to be happy. Your mantra of life is to be successful. Your mantra of life is to be winner. Your mantra of life is to be prosperous. Your mantra of life is to be contented. Your mantra of life is to be peaceful. The mantras of your life are within you. You’ve to find out yourself. You can’t live your life without the mantras of your life. Without the mantras of life your life is meaningless and directionless. Without the mantras of life your world is ugly and dark. It is only the mantras of your life which make your life beautiful and meaningful. It is only the mantras of your life which make your life purposeful, and show you the right direction. With the mantras of life you can set your goals of life and move ahead in your life. Your mantras of life make you realize what you’ve to do with your life. You’ll know what is right for you, and what is wrong for you. Never get in a hurry! 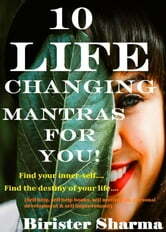 Livres similaires à 10 Life Changing Mantras For You! Find your inner-self…. Find the destiny of your life…. Shut Up! An Ancent Mantra For Complete Happiness: The Simple Truth Your Guru, Therapist and Grandmother Forgot To Tell You! 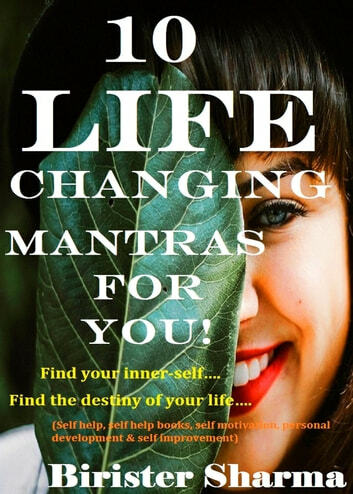 i want this book pls how to buy nice book pls 10 Life Changing Mantras For You! Find your inner-self…. Find the destiny of your life….